Strain: NYC Diesel, L.A Confidential, Maui Wowie. 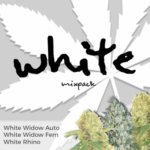 Containing three of the very best all-American classic marijuana strains, the USA Pride mixpack offers exceptional value and quality. 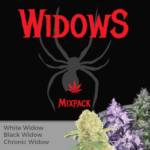 Enjoy cultivating a selection of three types of the best loved feminized seeds, each guaranteed to germinate and produce a strong, vibrant plant, with dense, aromatic buds and potent highs. 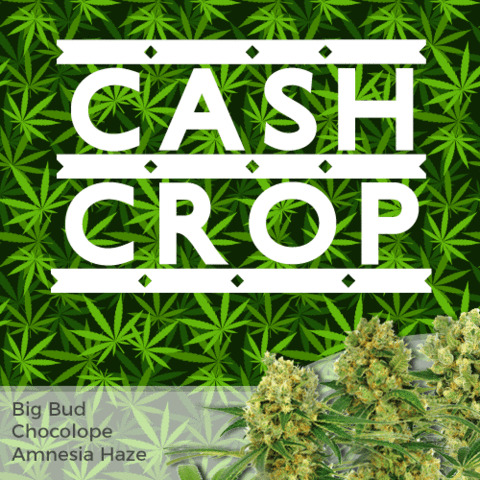 Perfect for both indoor and outdoor growers, feminized seeds require approximately 12 hours of uninterrupted darkness per night to flower, bud and mature. Indoor growers can commence flowering at anytime, while outdoor growers will have to wait until the end of September, beginning of October to harvest their plants. L.A. Confidential - A Californian favorite, easy to grow producing large, potent yields both indoors and outside. Maui Wowie - A true Hawaiian Sativa dominant strain with a sweet pineapple aroma and flavor. 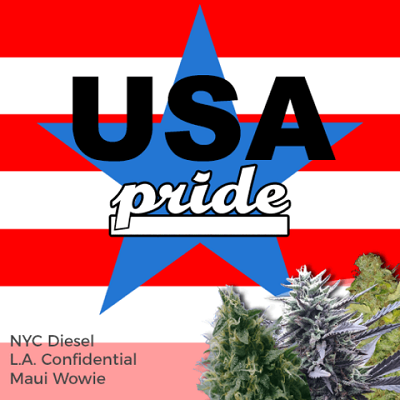 Buy USA Pride Mixpack Seeds today and receive free worldwide shipping guaranteed.